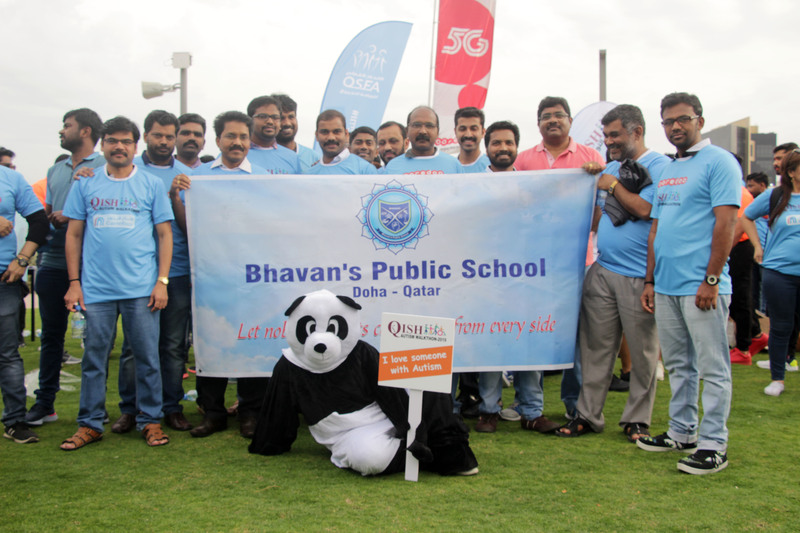 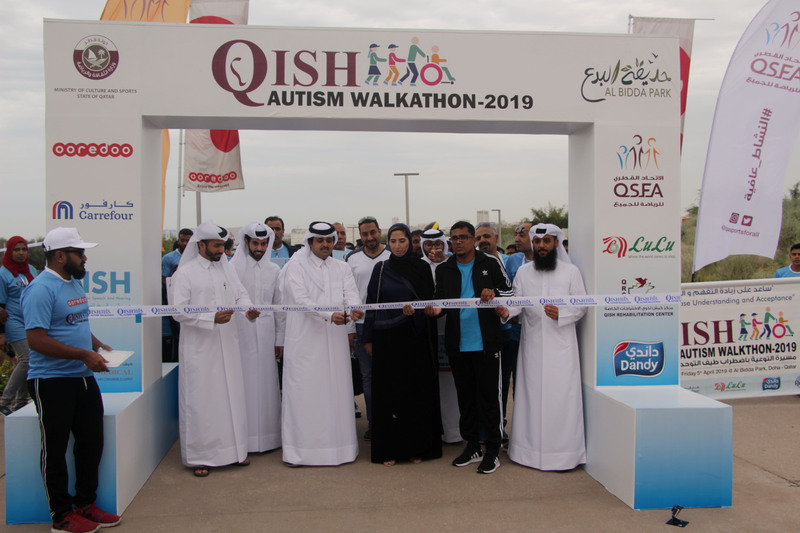 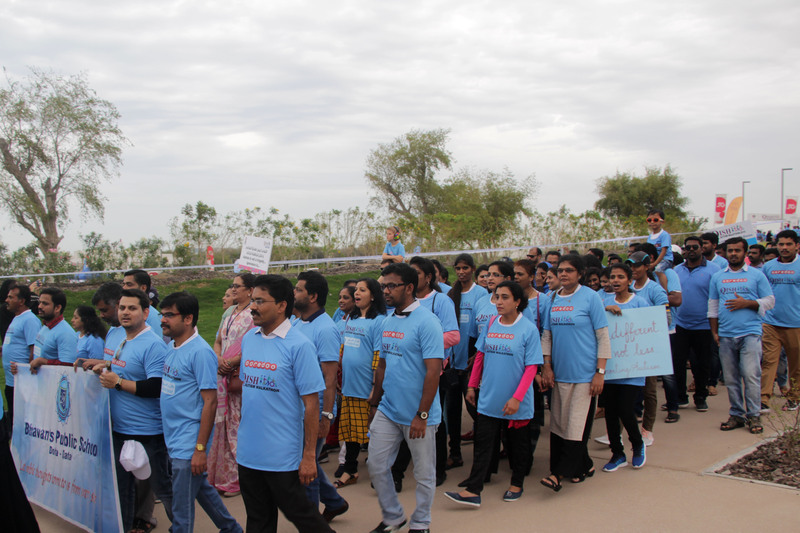 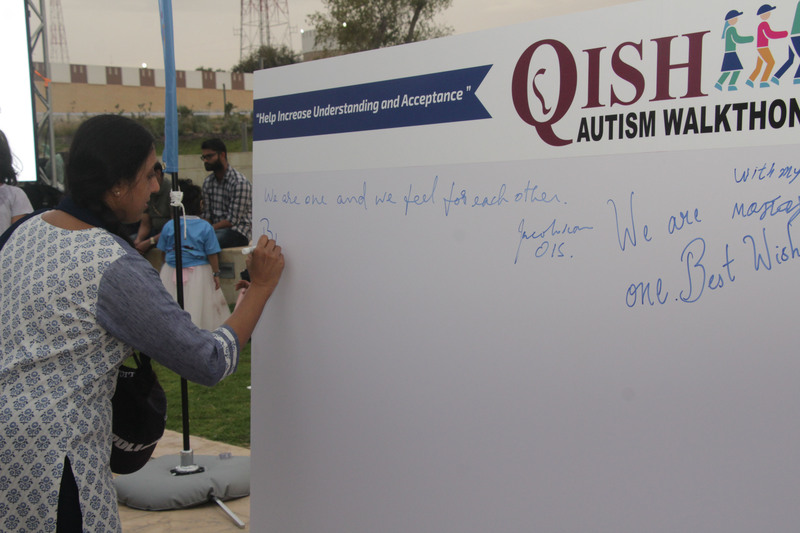 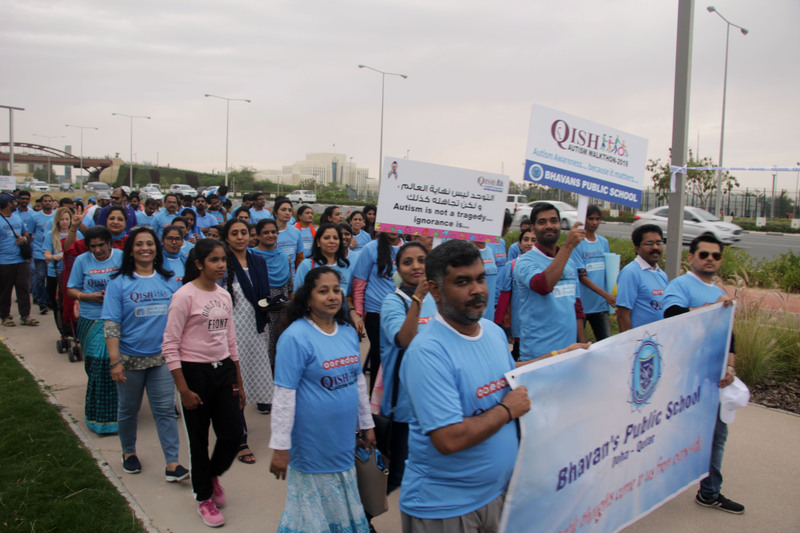 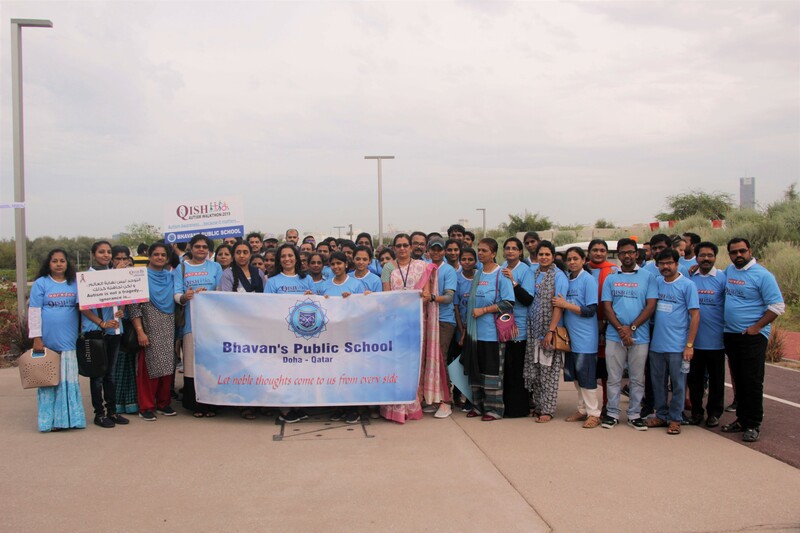 To increase the awareness, acceptance and to strengthen support, the effervescent teachers of Bhavan’s Public School participated in the ‘Autism Walkathon’, organized by Qatar Institute for Speech and Hearing (QISH) and Ooredoo at Al Bidda Park, Doha on 5th April 2019. 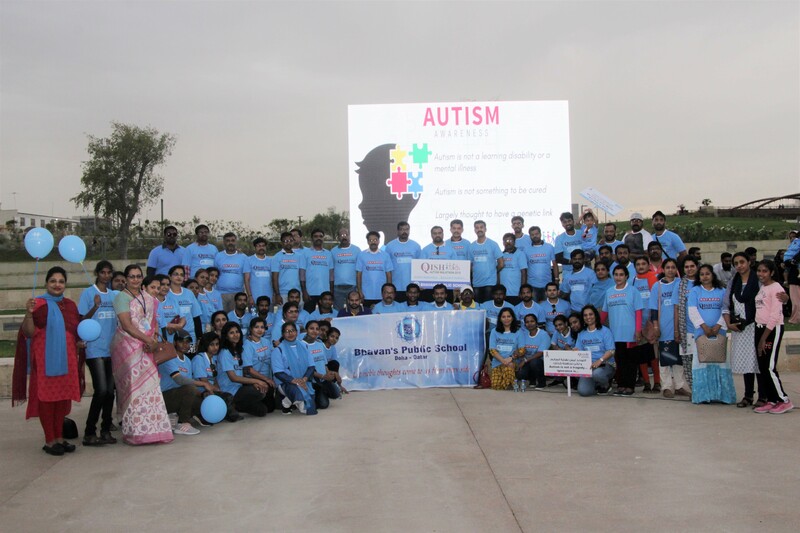 The teachers in blue t-shirts proudly walked along with children and adults with autism on the track to show their solidarity and empathy towards those who suffer from autism. 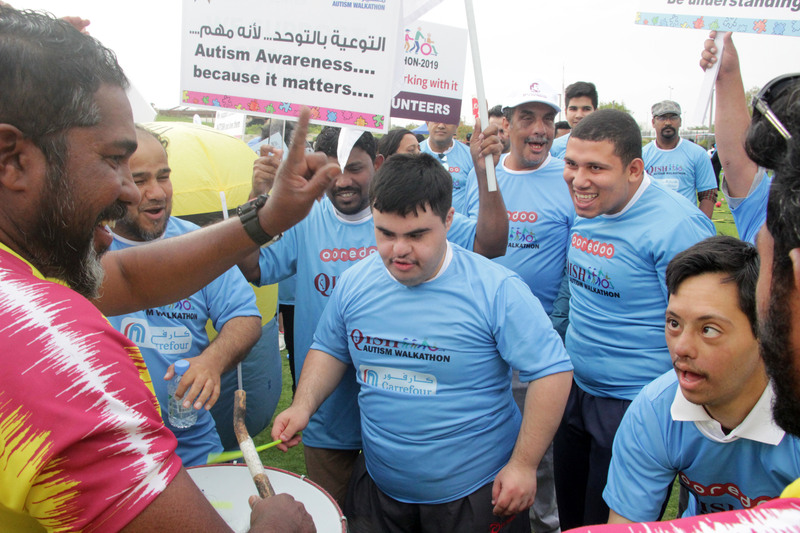 They also formed a big circle, symbolizing the autism awareness. 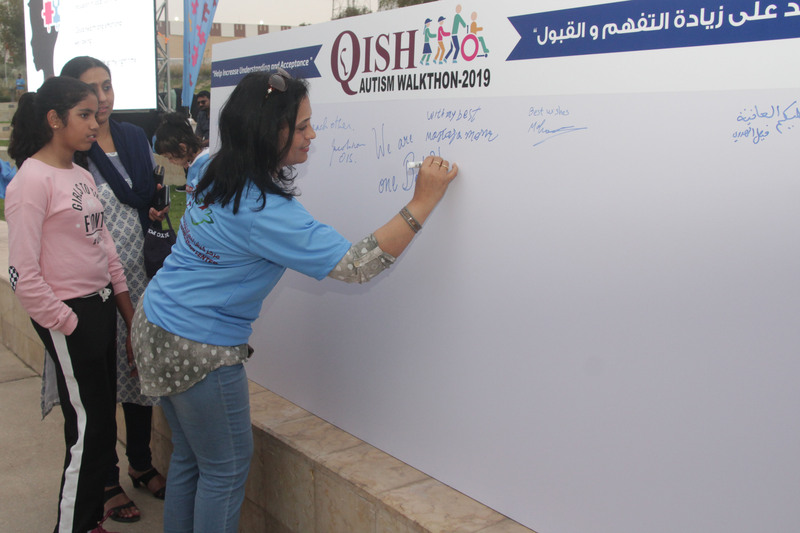 To add colour for the event, fun activities for children and drumbeat were also arranged by the QISH. 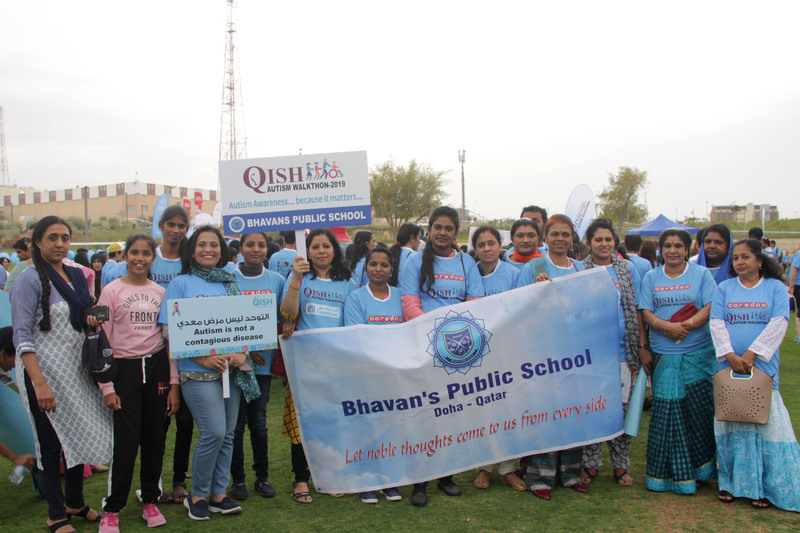 The Director Administration, Mrs. Anjana Menon, the Headmistresses, Mrs. Shailaja Krishnakumar and Mrs. Asha Shiju, along with the Academic and Activity Coordinators, graced the moments.